Picture a leader. Are they admitting they don’t know something? Are they showing emotion? Are they asking the team to help them figure out what to do? If you think these descriptions are at odds with an effective leader then you haven’t mastered the art of vulnerable leadership. You’re not alone. We’re conditioned to think that leaders have to be strong, sure, and all-knowing. We equate leader with authoritative and dominating. Is this the kind of person you’d want to work with? Or, would you rather work in a collaborative environment where the collective knowledge is used and your ideas are treated as equal. In a team where the leader can be trusted to be forthright and honest? It seems like vulnerable leadership is the obvious choice, but as my guest today on the Brilliant you podcast discovered, it’s the harder choice. 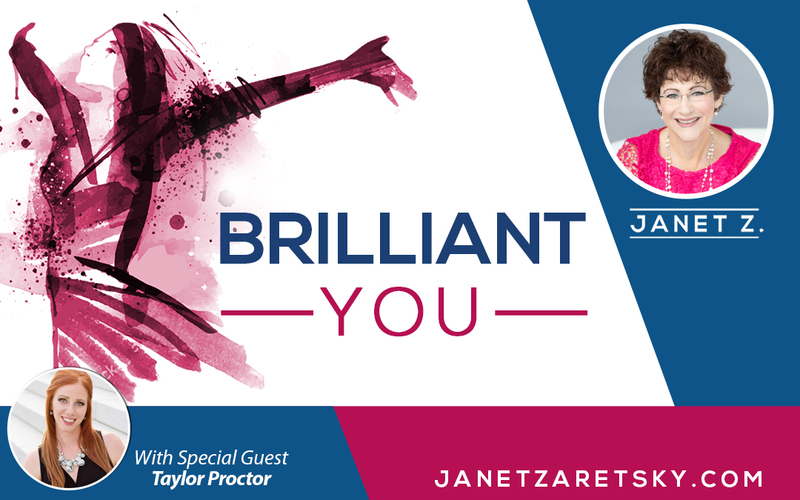 Taylor Proctor is a mentor, marketing director and a the host of the Happiness Abound podcast. She shares the challenges she faced when deciding to lead a team from a position of vulnerability. We explore the physical response we have (thanks to our brain pattern) to being asked a question we don’t know. And, how letting go of the need to be perfect and work instead in a place of co-creation can lead to amazing results and (shocker) happy team members. We also dive into one of my favorite topics – avoiding reflexive apology. This can be a challenge when you allow yourself to be vulnerable. But, if you can control the urge to apologize, your vulnerability will feel like a strength, not a weakness. Plus, we talk about the value of displaying emotion and showing empathy as part of vulnerable leadership and how this improves connections with your team (thanks to those mirror neurons). And finally, we delve into fostering happiness and gratitude (in life and in the workplace). We examine the idea that we’re ‘supposed to be happy’ and look at how that can derail our actual happiness. Taylor shares some ideas about instilling gratitude and happiness in the workplace that you’re going to want to steal! By the end of this podcast, you’ll be ready to step into a more vulnerable approach to leadership and you’ll be inspired to foster greater happiness, appreciation, and gratitude in your workplace. By the way – in case I haven’t made it obvious – I appreciate you being here and listening to the Brilliant You podcast. I just thought you should know.